Heading South!!! | RV There Yet? We left Asheville, NC yesterday – it was 27 degrees – and headed south!(Phew!) We were headed to Lake City, FL, but since it was a two day drive (in RV days), we decided to stop and see our friends at Faith Christian School in Vienna, GA (where we had done our Sower’s project). It was good to gather hugs and catch up with the “doings” at the school. We continued our trek south, but made a stop at The “Agrirama of Georgia” in Tifton. We didn’t know quite what to expect – and were pleasantly surprised on all fronts. It was a living history museum (1870-1905) that was reasonably priced ($7.00), staffed with knowledgeable folks, and very well done. We watched corn being ground into grits at the grist mill, lumber being sawed and had a tour of the town’s founder’s home by the man’s granddaughter! There were school children there who were taking part in different workshops – costumes and all. We’ve been to several of these “living history museums”, and found this one to be a very good value! 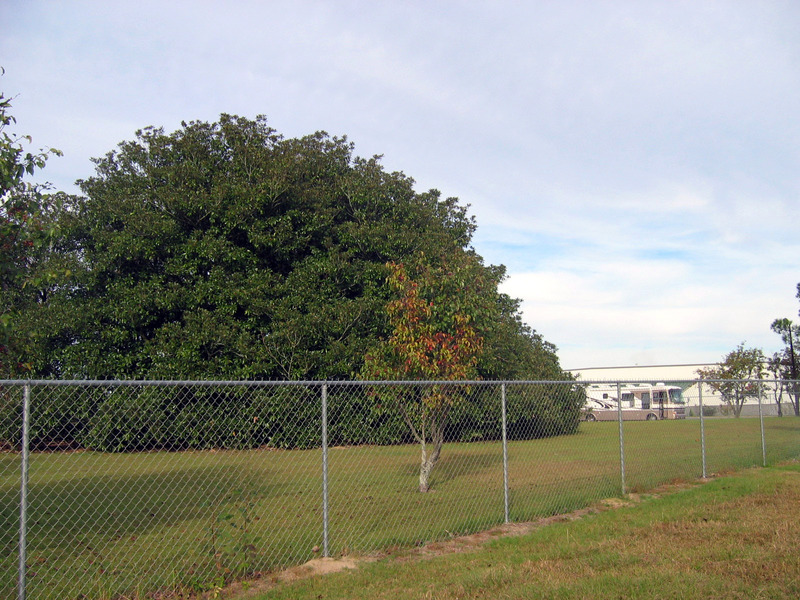 And just so you know that we go to every length to check out all points of interest, here’s a shot of the largest Magnolia tree in Georgia – the second largest in the US. It has a span of over 105 feet and is approximately 400 years old. We’ll keep our eye out for the largest one, okay?